Fairy tales with four-pawed cuties. Genius. Why did nobody think of this before? Imagine your favourite fairy tales if all the characters were animals. Would they work out in quite the same way? Errr – nope. Now you can see what happens when a fussy poodle comes to the palace, and a naughty kitten starts telling lies! 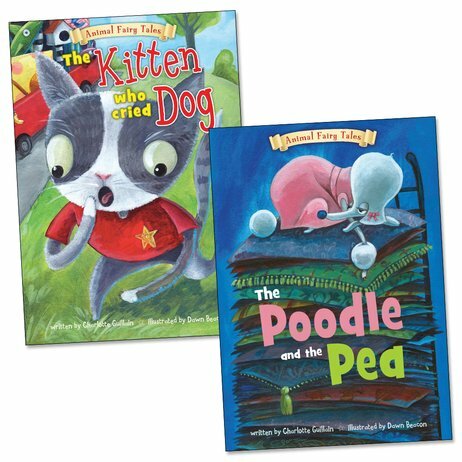 A bonanza of cuteness, laughs and reading practice, full of adorable pictures to make you smile.